Michael Skop and his art are an experience-each is made better by knowing the other. When you meet Michael, you are impressed with the impact of his personality and physical size. When you see his art, its power and strength are unforgettable. When you see them together each is more understandable and enjoyable. Together is the way Michael Skop and his art should be experienced and appreciated. What has made Michael and his art the experience they are today is his vast background of working in all media all over the world with excellent mentors. After graduation fromSyracuse University and completion of his graduate studies at Notre Dame under Ivan Mestrovic (pupil of Rodin), Michael received the Heinrik Kauffman grant from the American-Scandinavian Foundation in New York City and studied at the Danish Royal Art Academy in Copenhagen. Skop became a Fellow of the American Scandinavian Foundation and many of his works are in personal collections in Denmark and Sweden. In August of 1960, Skop received a Fulbright Grant for study in Italy where he published articles, made many commissions and exhibited in Florence. Fall of 1961, found Skop traveling in Greece, Yugoslavia, Austria, Germany, and France where he studied many of the sculptures of Rodin, Bourdell, and Despeau. After Michael returned to this country, he continued to create and teach at Cooper School of Art, Cleveland; Cincinnati Art Academy; Southern Connecticut State College; Northern Kentucky University before returning to Rome, Italy to instruct in drawing at the Vatican. Skop has work in private collections of Count DeMer, Versailles; Lily Cup Company; Christ Church, Cincinnati; Cincinnati Club, Cincinnati Sports Stadium among others. He has exhibited, lectured, and juried all over the worlk and regionally, is listed in the International Who's Who in the Arts, American Artist in the Arts and Who's Who in New England Art. all over the country and to creating art in his studio in Fort Thomas, Kentucky. Skop, a native of Cleveland, where he won All-State honors as a high school football player, studied sculpture with internationally known Ivan Mestrovic (a pupil of Rodin) at Syracuse University. He completed his post-graduate work at Notre Dame in 1958 and went on to study sculpture at the Danish Royal Art Academy in Copenhagen the following year. Many of his works were purchased by institutions and private collectors in Sweden and Denmark, and he became a fellow of the American Scandinavian Foundation. In 1960, he went to Italy on a Fulbright Grant. He studied at the University of Perugia and later set up a studio in Florence. Skop travelled extensively throughout Greece, Yugoslavia, Austria, Germany and France, studying many of the sculptures of Rodin, Bourdell and Despeau. During this period, he drew and sculpted constantly and did quite a few commissions for important clients in Florence and Paris. He has also taught drawing and sculpture at Cooper School of Art in Cleveland, Southern Connecticut State College in New Haven and Instituto Degli Art International in Rome. He has completed numerous important commissions here in the U.S. and abroad and his works have appeared in museums, galleries a various exhibitions too numerous to list. 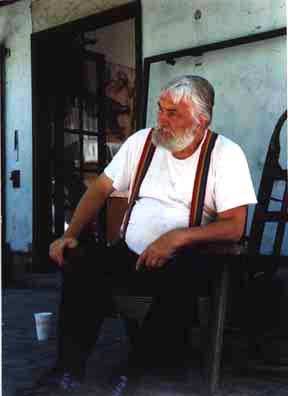 Skop lives and maintains his studio at the historic ÒStorybook HouseÓ in Fort Thomas, KY, the former home of the late Julian Bechtold, also a noted sculptor in the Cincinnati area.